Apple has now started selling two new accessories. These new accessories are particularly of interest to iPhone XR and iPad Pro owners. They are the iPhone XR Clear Case and the 18W USB-C charger. The iPhone XR Clear Case comes after a six-week delay. Why it was delayed is not known for now. The clear case was initially mentioned in an Apple press release in October. For now, it is the only iPhone XR case from Apple. “Thin, light, and easy to grip — this case lets you enjoy the look of iPhone XR while providing extra protection,” the product description states. Since it comes from Apple, chances are that it won’t get as yellow as cheaper third-party cases over time. Further, Apple’s new iPhone XR Clear Case features a scratch-resistant coating on both the inside and outside. It also works with wireless Qi charging, so you don’t have to remove it to charge the phone wirelessly. 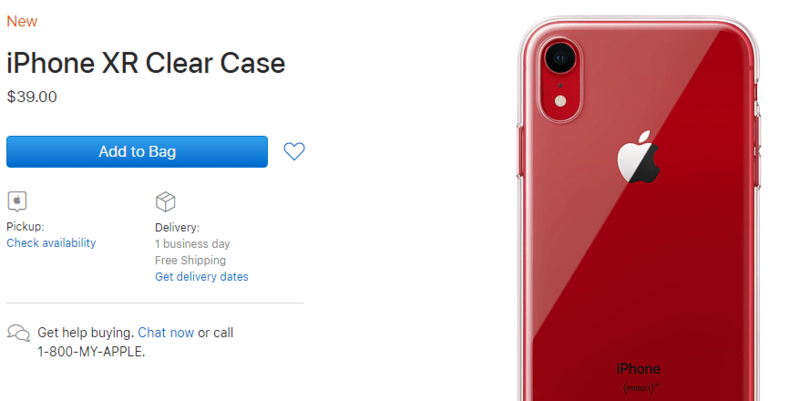 The new case costs $39 and is now available on Apple.com and a number of other regional Apple websites. This is the first case Apple itself has released for the iPhone XR. Apple also launched its 18W USB-C charger as a standalone product on Wednesday. The power adapter supports fast charging for the iPhone 8, iPhone X, iPhone XR and iPhone XS. Apple’s 18W USB-C charger costs $29 in the U.S. and $39 in Canada. It is the same adapter that comes with the 11-inch and 12.9-inch iPad Pro models released in November. Users have long been demanding such a product amid rising standardization of USB-C. When Apple revealed this year’s new iPad Pros in October, it was not clear when or even if Apple would release the power adapter as a standalone product. “The Apple 18W USB‑C Power Adapter offers fast, efficient charging at home, in the office, or on the go,” the product description states. It must be noted that the charger does not include a charging cable, and unlike other high-powered power adapters, this 18W power adapter does not have detachable prongs. This means you won’t be able to add an extension cord, and it won’t be suitable for all regions. 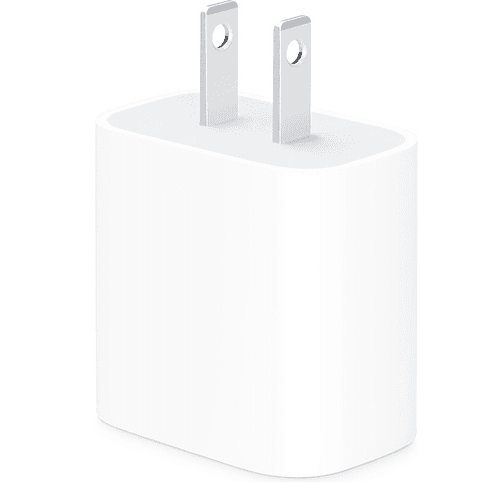 However, Apple has launched several international editions of the power adapter, like the U.K. one, which features a unique folding prong mechanism. In addition to these two products, Apple has also made available one widely-anticipated software feature. The electrocardiogram (EKG) feature is finally coming to the Apple Watch Series 4, according to the Verge. The feature was an important addition to the Apple Watch Series 4, which was announced in September. Although the watch had all the needed hardware for it, the necessary software was not released until now. To perform an EKG, you need to first open the EKG app on the watch and then place your index finger on the crown for about 30 seconds. The watch then reads your heart rhythm and sends the results to your iPhone’s health app. You will also be able to create a PDF report to send to your doctor. Apple also released an irregular rate notification feature. The feature will be available to all watch models starting with the Series 1. Apple says this feature checks the user’s heart rhythm every two hours or so, and if it notices any irregularities in five consecutive readings, it sends an alert. Both new features are part of the watchOS 5.1.2 update.